The small aircraft piloted by an Israeli civilian flew over Sderot without coordinating with authorities. 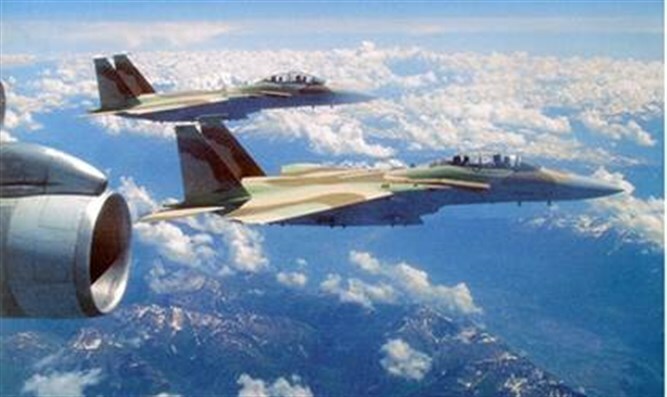 Two IAF jets were scrambled Saturday to intercept a small aircraft that had flown over the southern town of Sderot, according to the IDF. A small aircraft piloted by an Israeli civilian had flown over Sderot without coordinating the flight first with authorities, in violation of civil aviation laws. The army said the incident would be investigated by police. "The IDF will work to eliminate the danger of flights that are not in accordance with the flight laws and procedures of the state," the IDF Spokesperson’s Unit said in a statement. On Friday some 10,000 Gaza Arabs clashed with Israeli troops in several locations along the border fence with Israel. They threw rocks and hand grenades at Israeli troops. IDF troops responded with means for riot dispersal, including rubber-coated steel rounds and live bullets. According to the Hamas-run health ministry in Gaza, there were no fatalities but 32 Arabs were wounded.